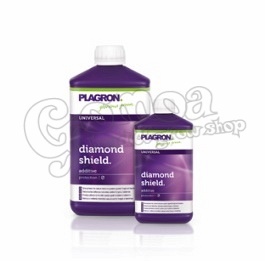 Plagron Diamond Shield Can be used from the appearing of the first leaves. You can use it up to the third week of the flowering period. After this, instead of spraying, use watering. It helps in the absorption of Potassium and Phosphorus. Pay attention to spray all over the surface of the leaves, not only the edges.